This is a delicious and easy side dish to make. Toss sweet potatoes, spices and canola oil in a baking dish. Make sure the sweet potatoes are in a single layer. 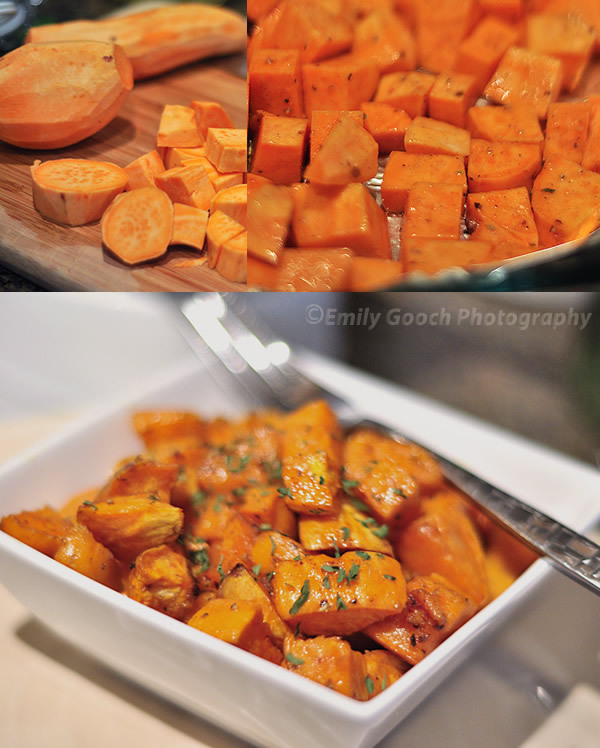 Who doesn’t love sweet potatoes.. such a great recipe. Thank you! I think more people should eat sweet potatoes. It has more nutrional value than the regular potatoes. Thanks Nigel. Good to see you here. My intent is to post easy recipes I’ve created. And to showcase my food photography. I will continue to use my other blog for writing and displaying cooking instructions.